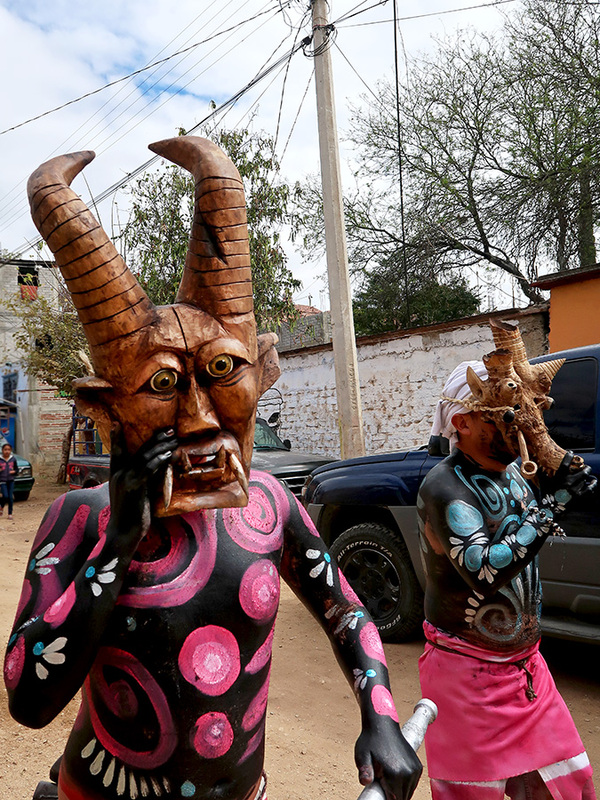 Well, actually, they came, they saw, and they set the village straight. 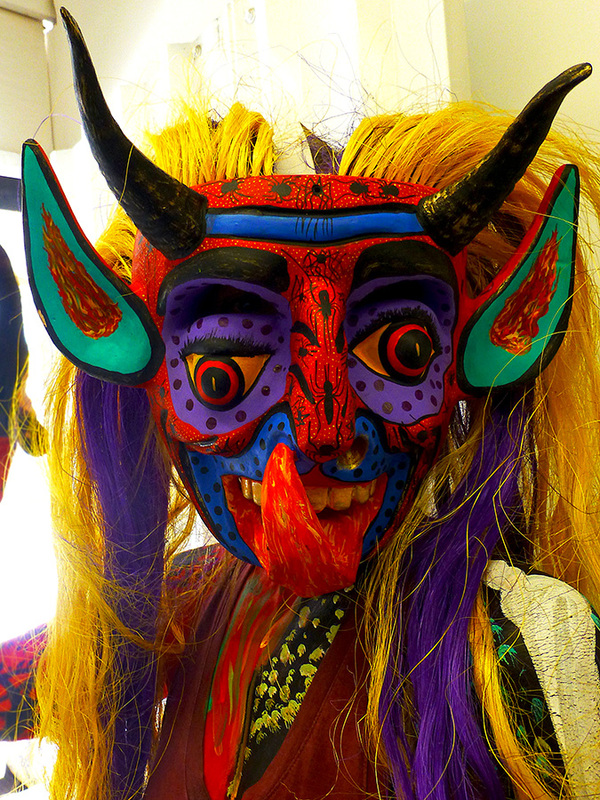 I love the carved masks worn in many of the traditional dances in Mexico and, thus, made a bee-line to the current exhibition at the Palacio de Gobierno, Máscaras de Juxtlahuaca — part of the month-long celebration of Guelaguetza. 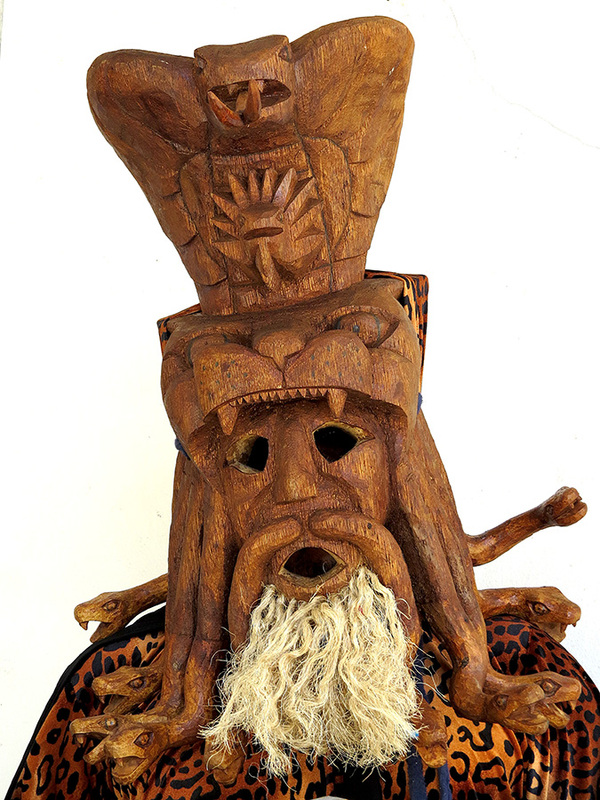 Most of the masks in the show are the work of Alejandro Guzman Vera, a native of Santiago Juxtlahuaca in the Mixtec region of Oaxaca. 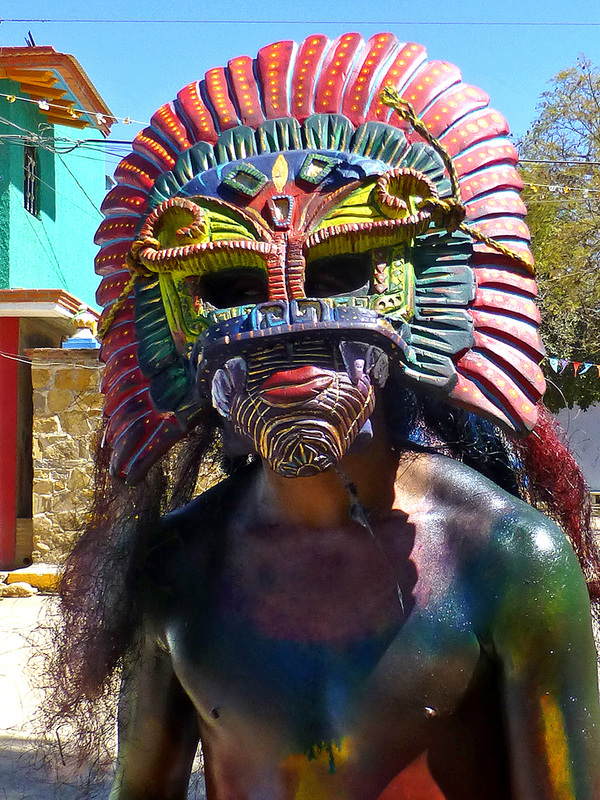 He was born in 1972 and, as a young child, made his first mask of cardboard and painted it with crayons. 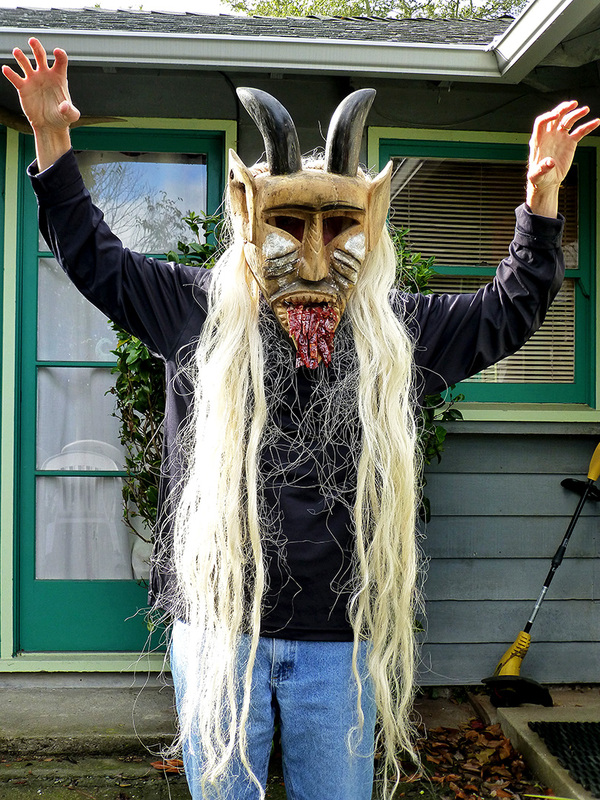 At age 12, he carved his first wooden mask. 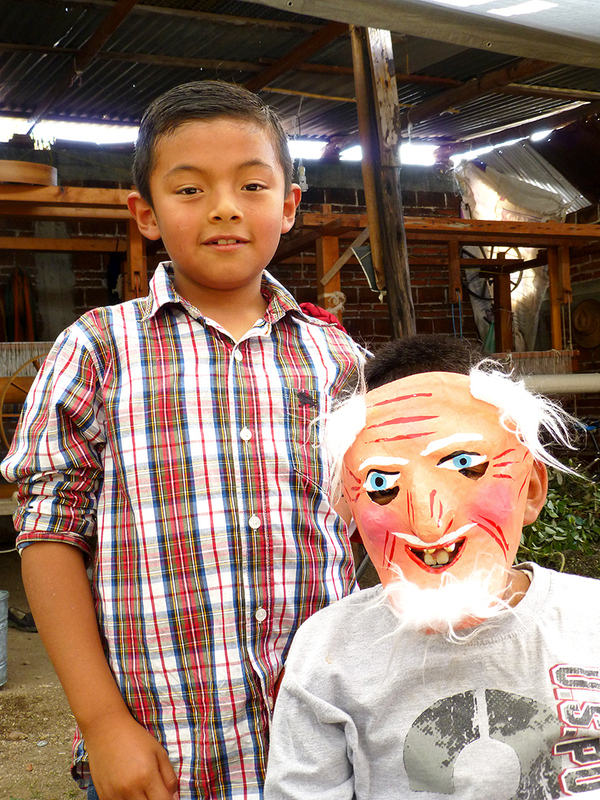 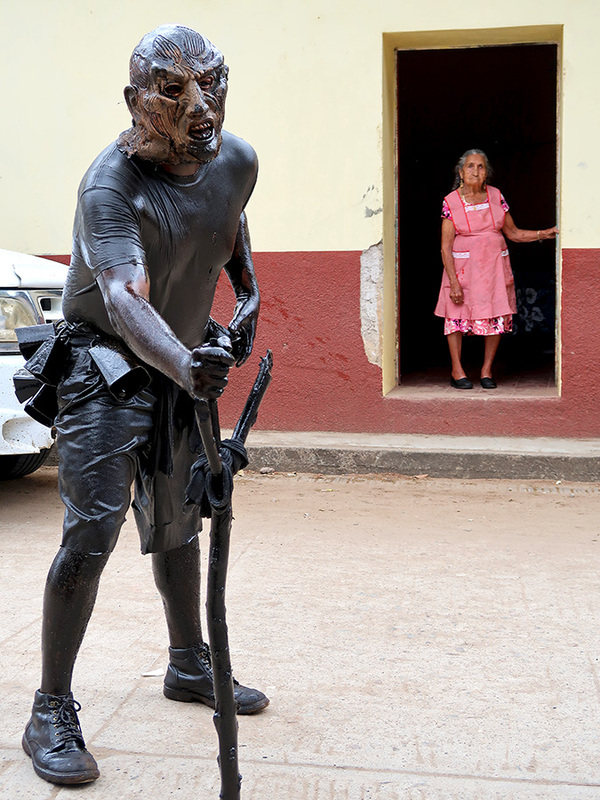 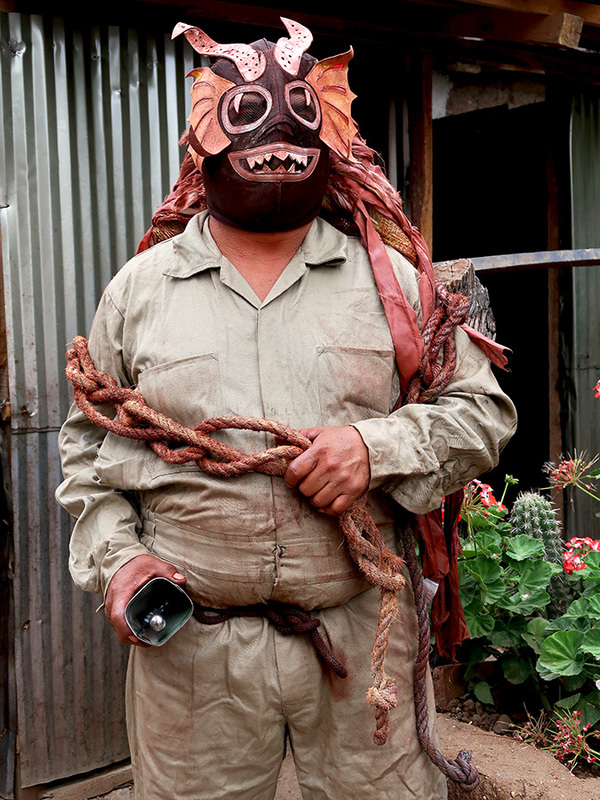 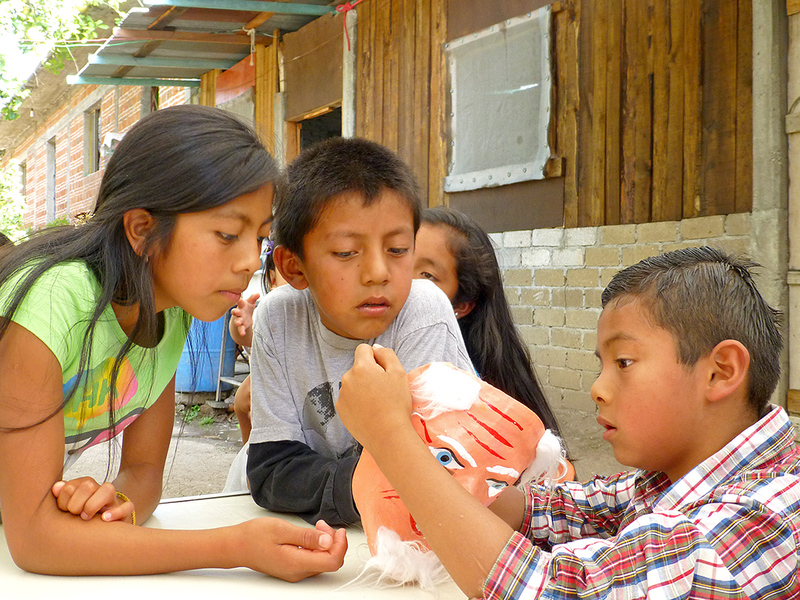 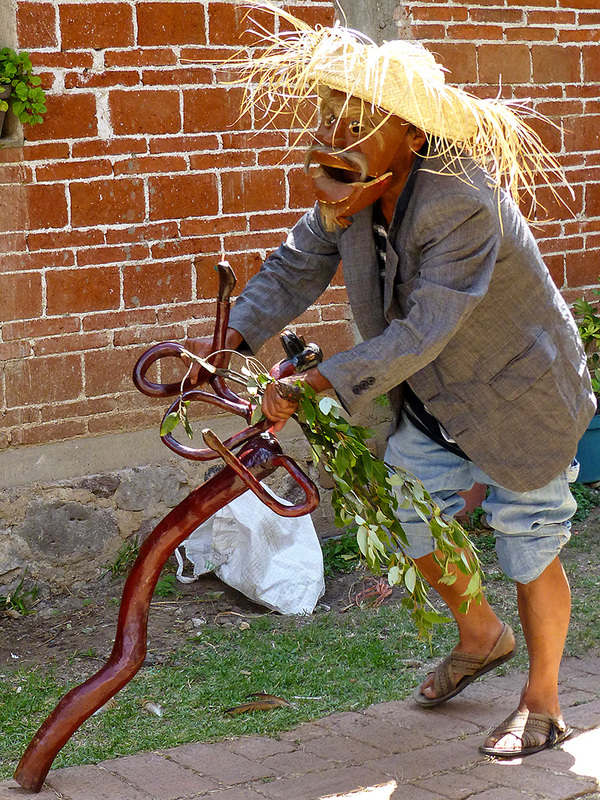 He went on to study at the Escuela Nacional de Artes Plasticas and has become one of the premier mask-makers in Mexico. 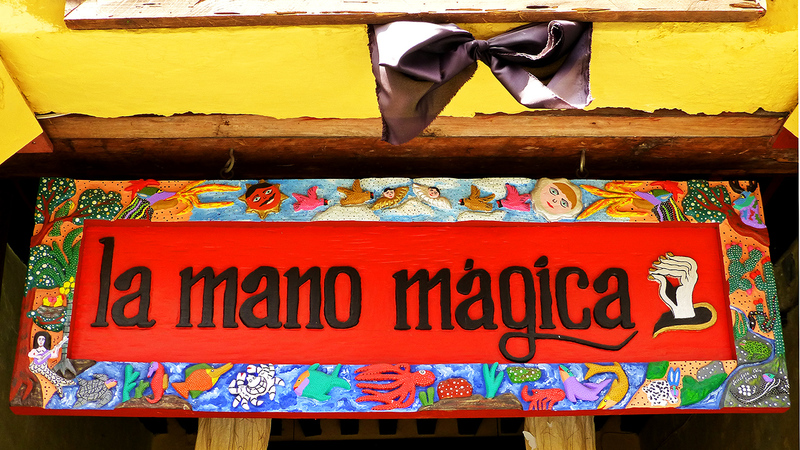 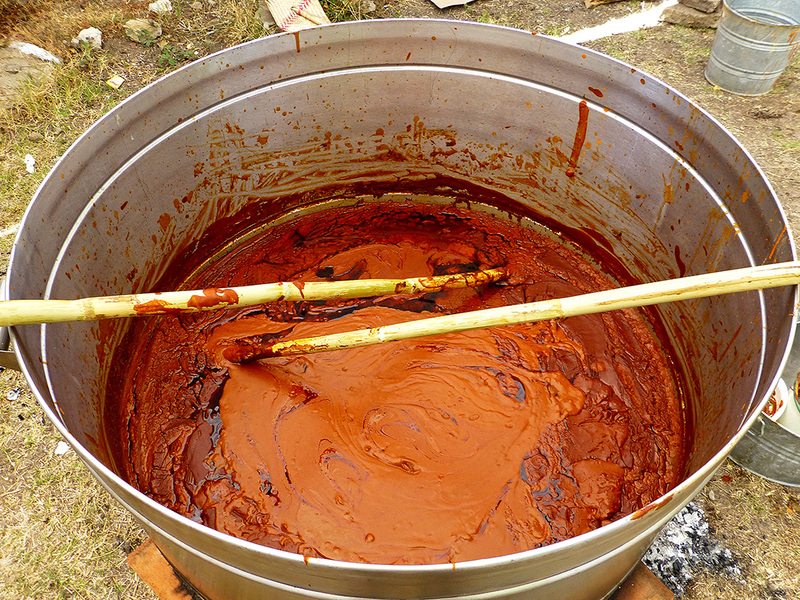 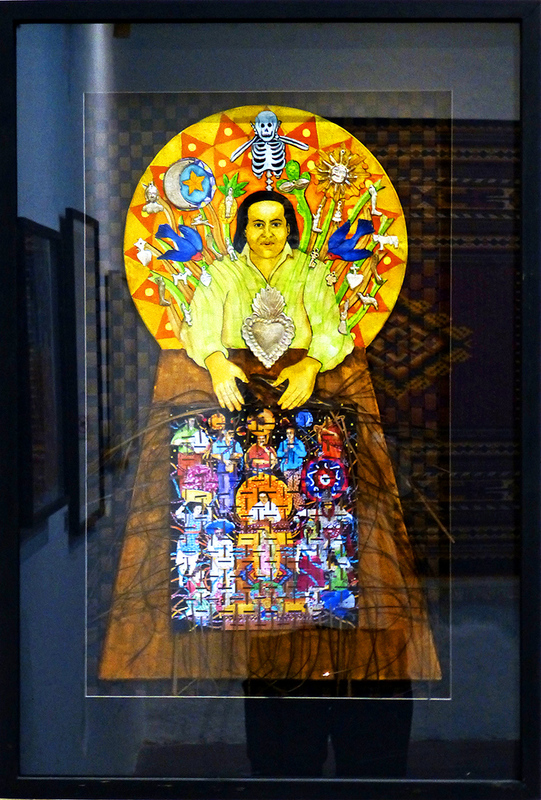 He has exhibited world-wide and is one of the honored Grandes Maestros del Arte Popular de Oaxaca, profiled in the book by the same name. 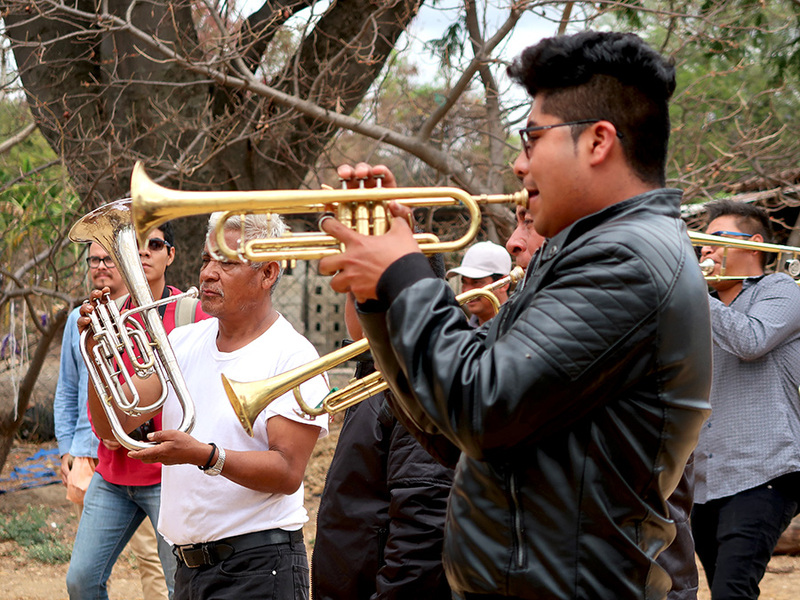 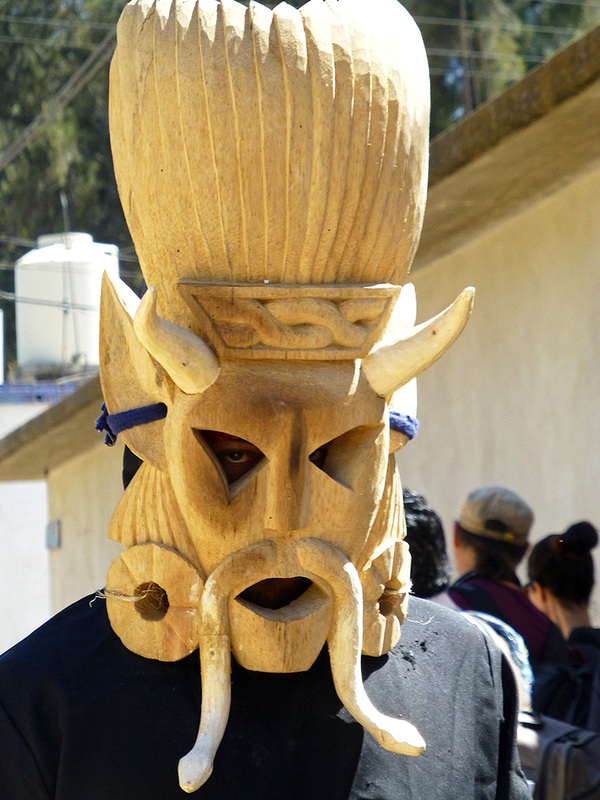 By the way, he is not only a mask-maker, but also an accomplished musician and is playing a role in the rescue of the traditional music of Juxtlahuaca. 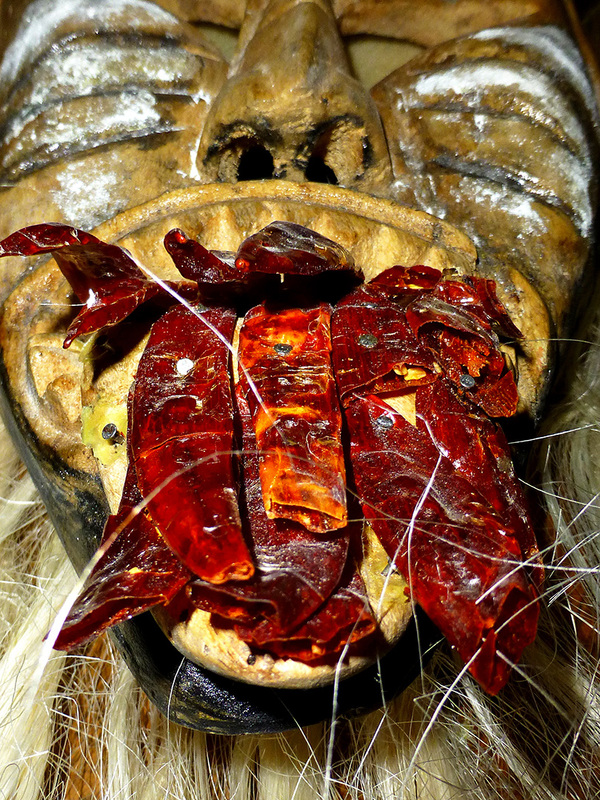 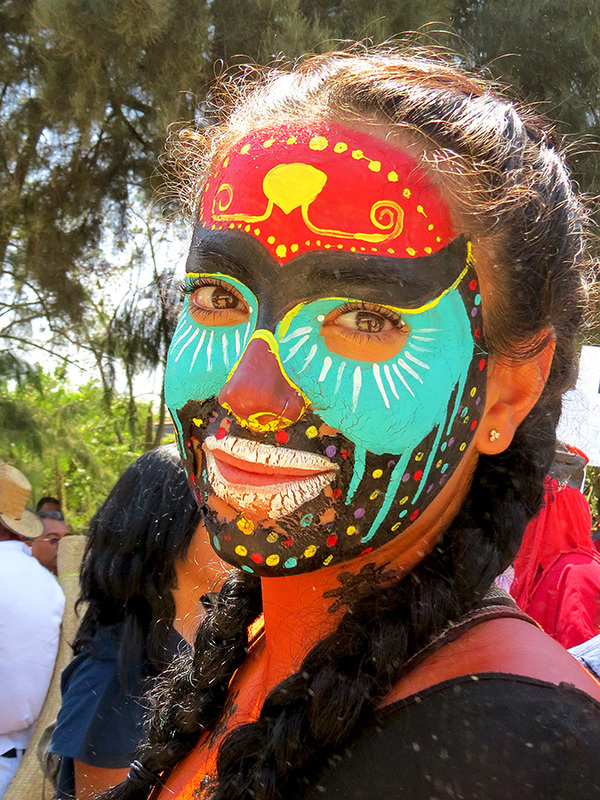 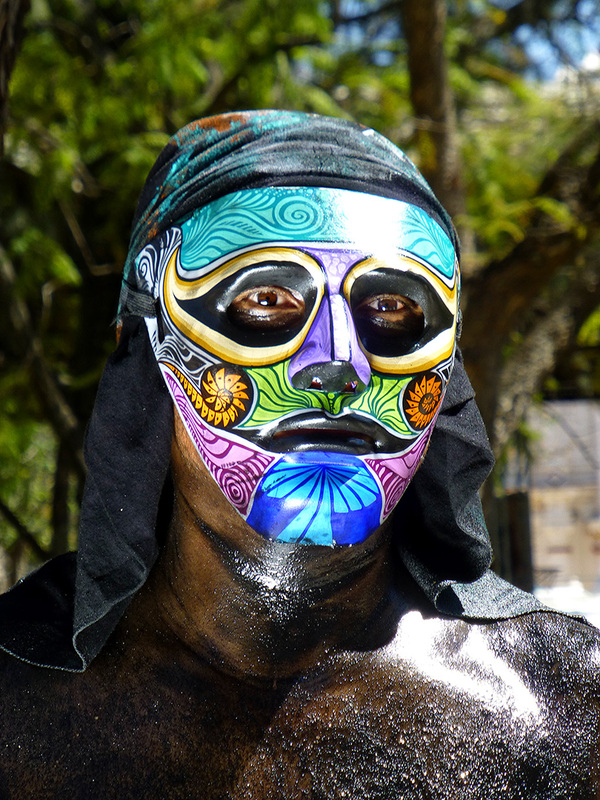 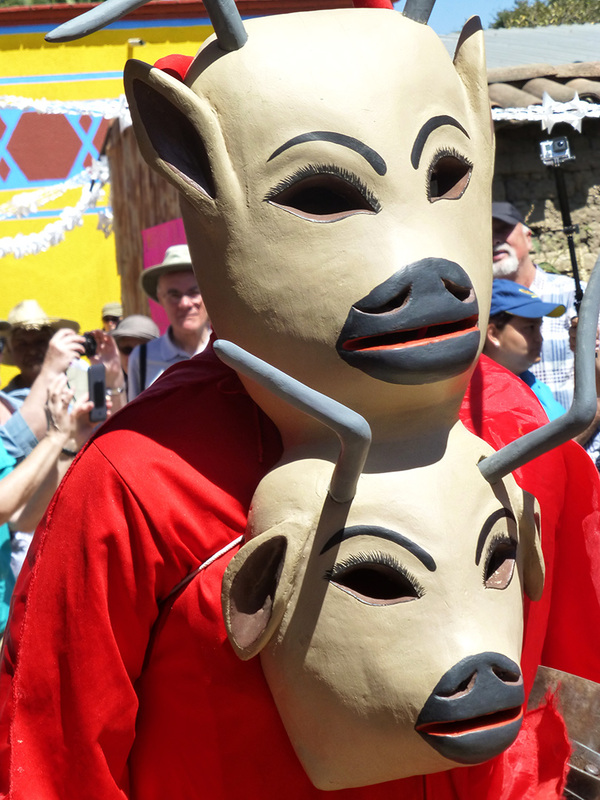 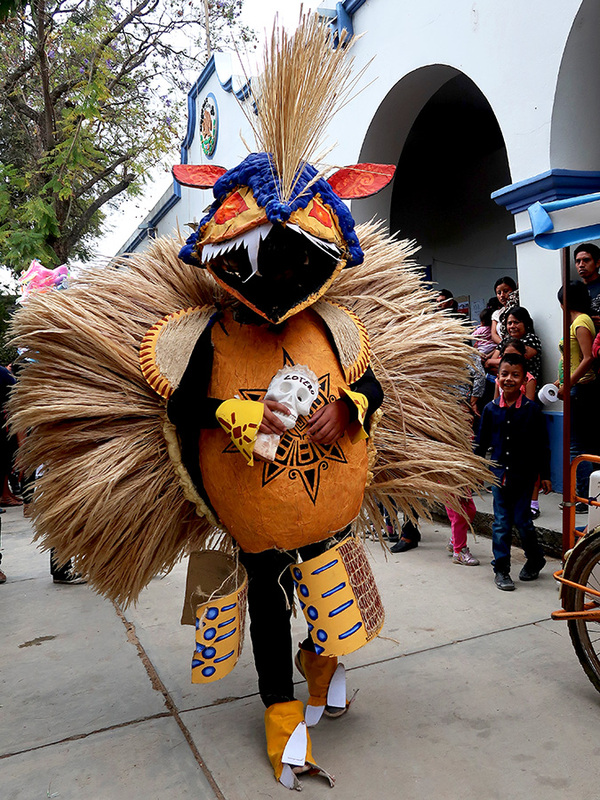 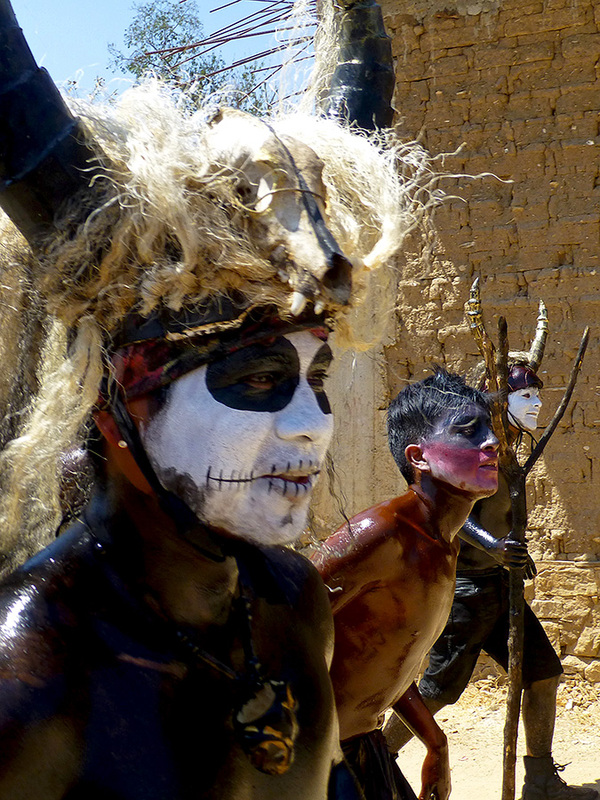 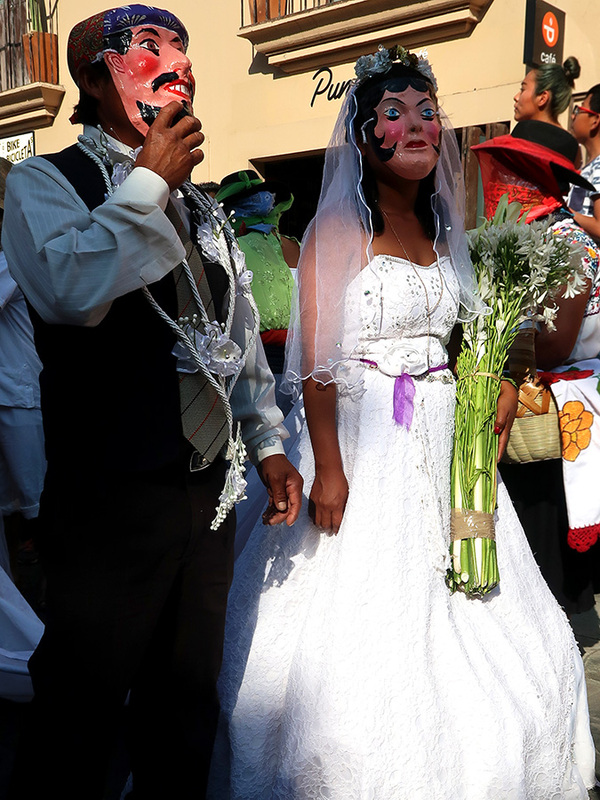 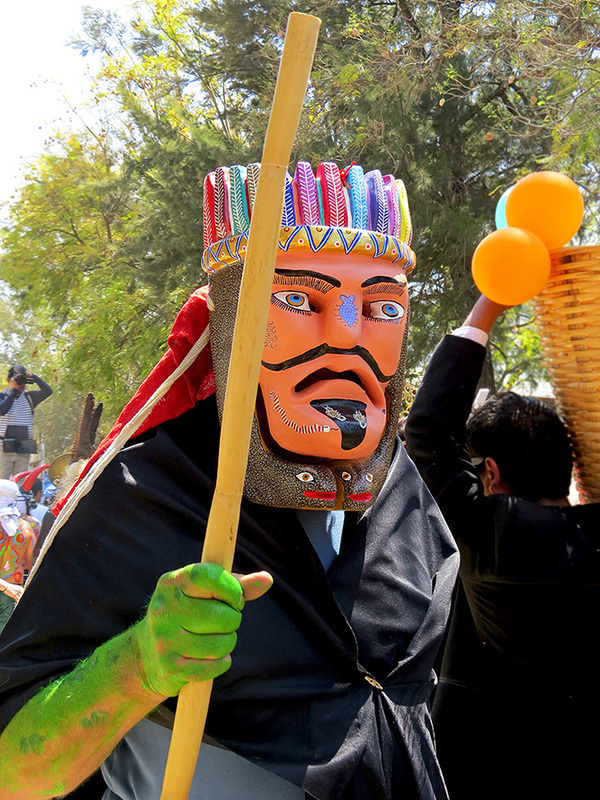 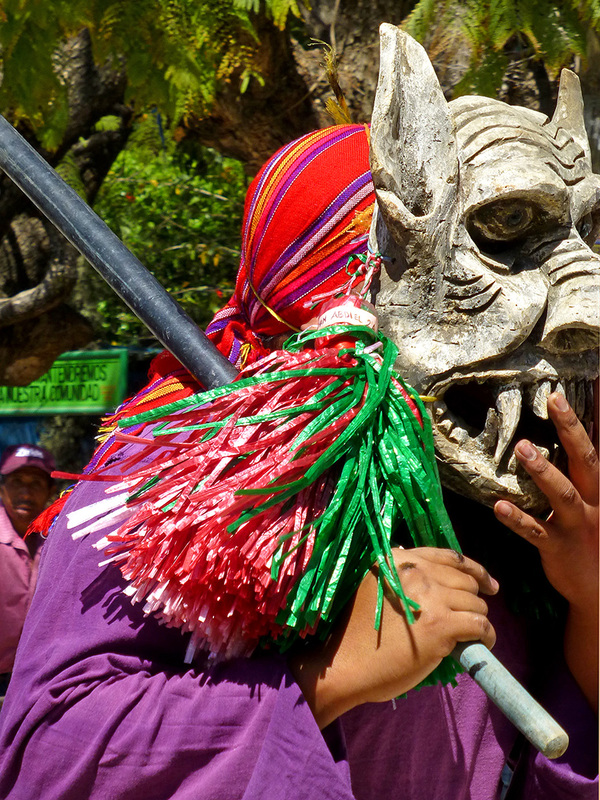 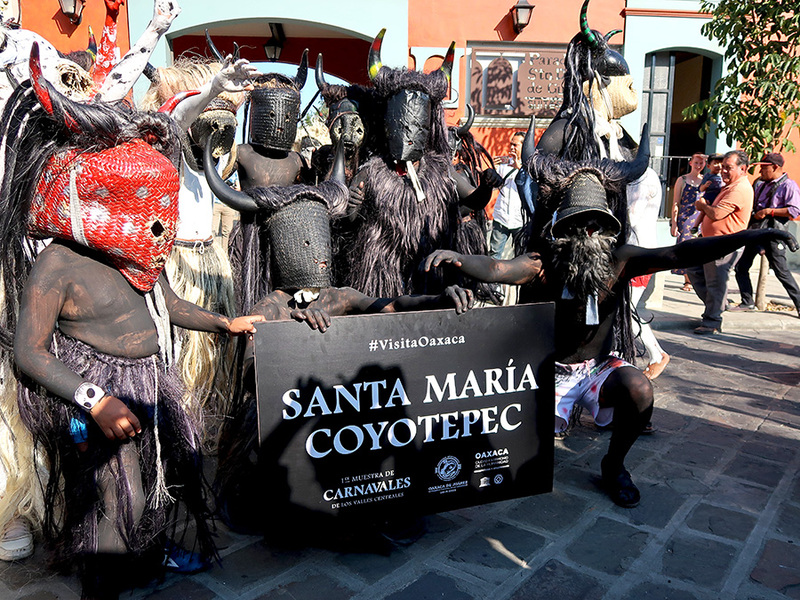 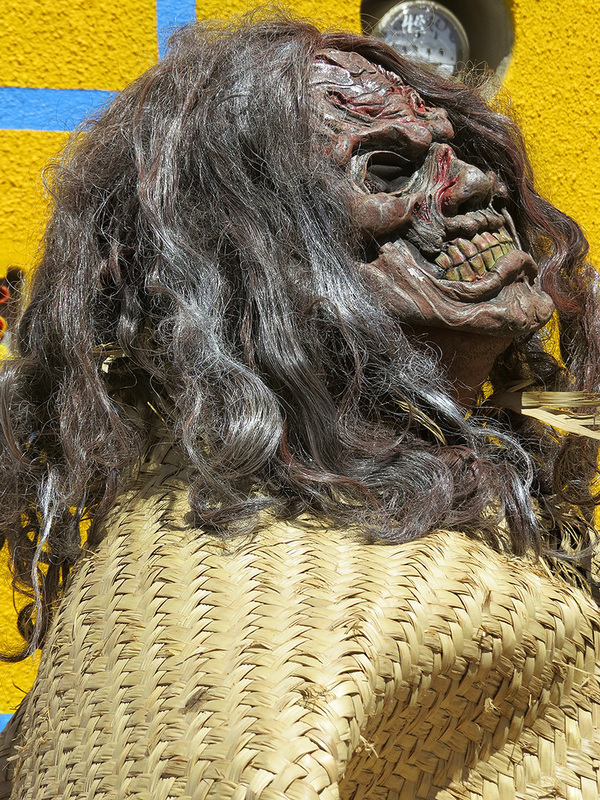 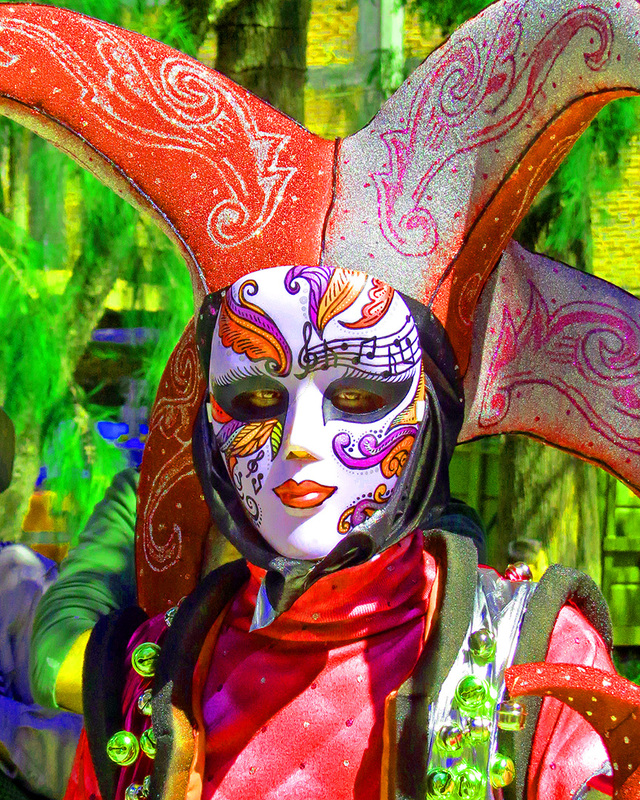 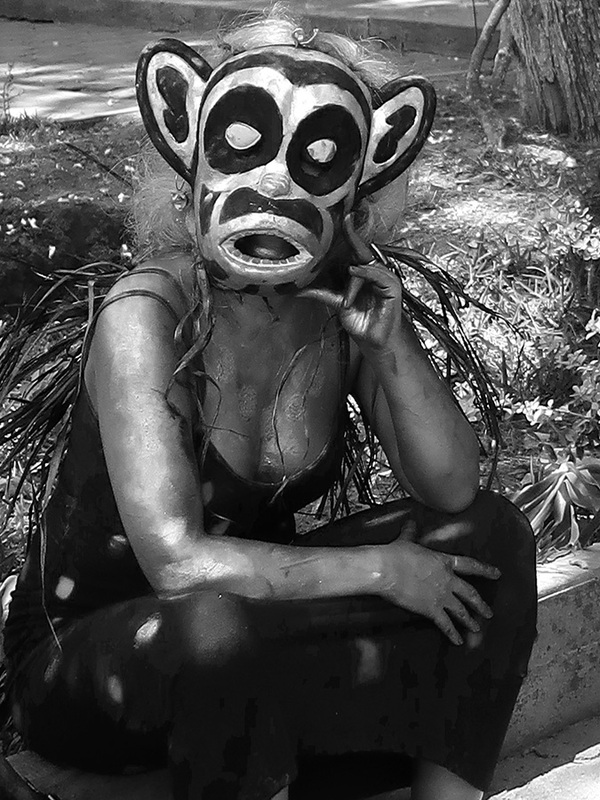 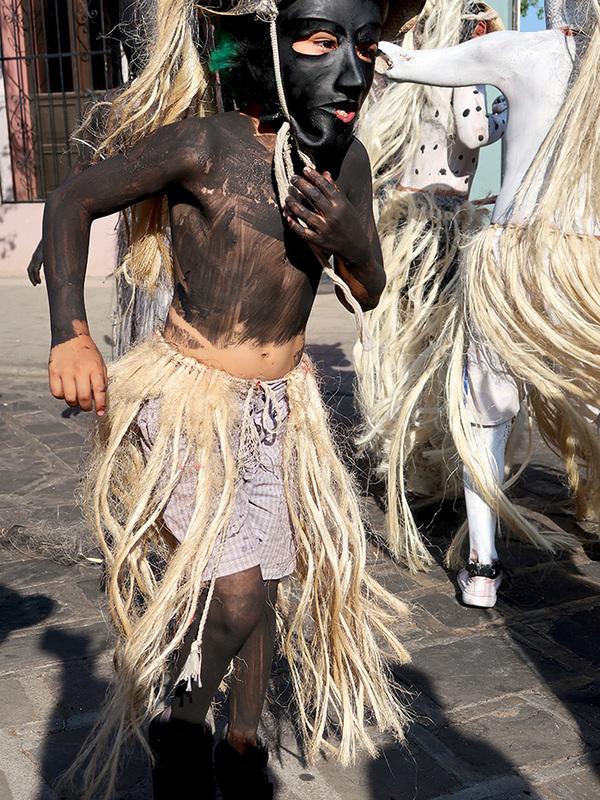 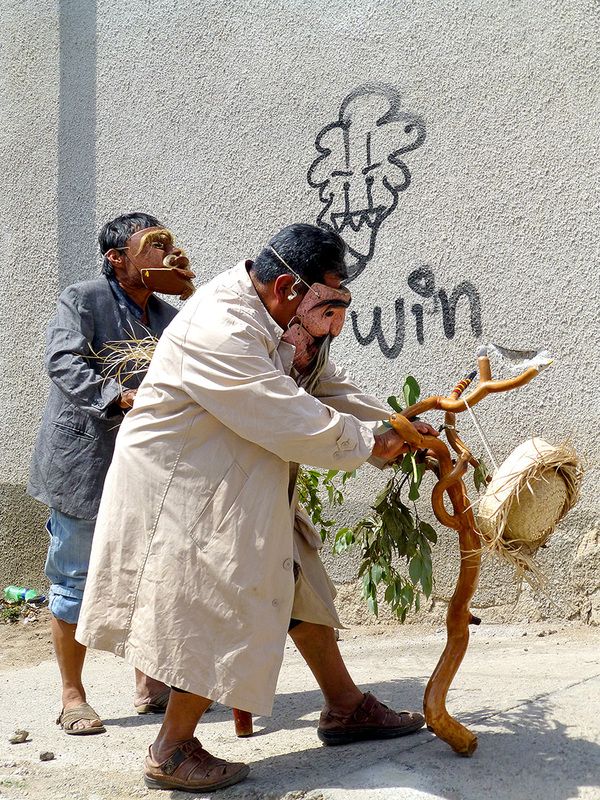 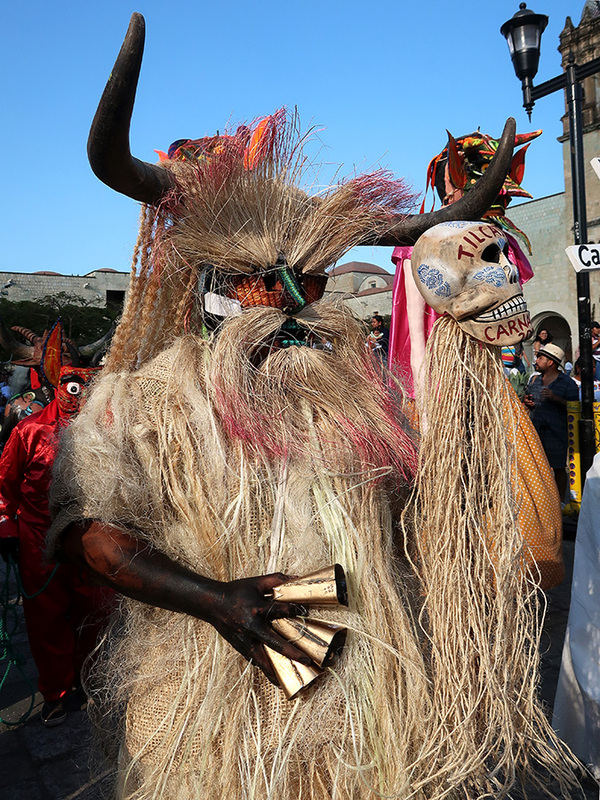 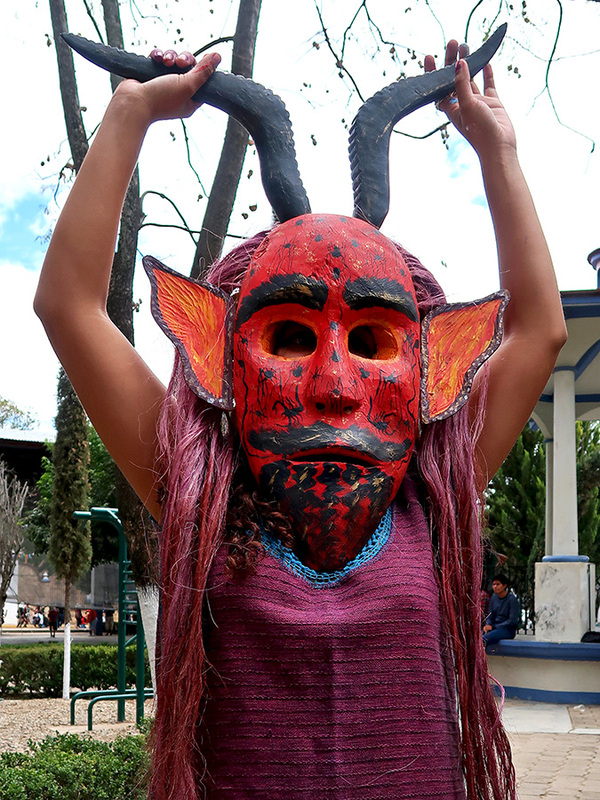 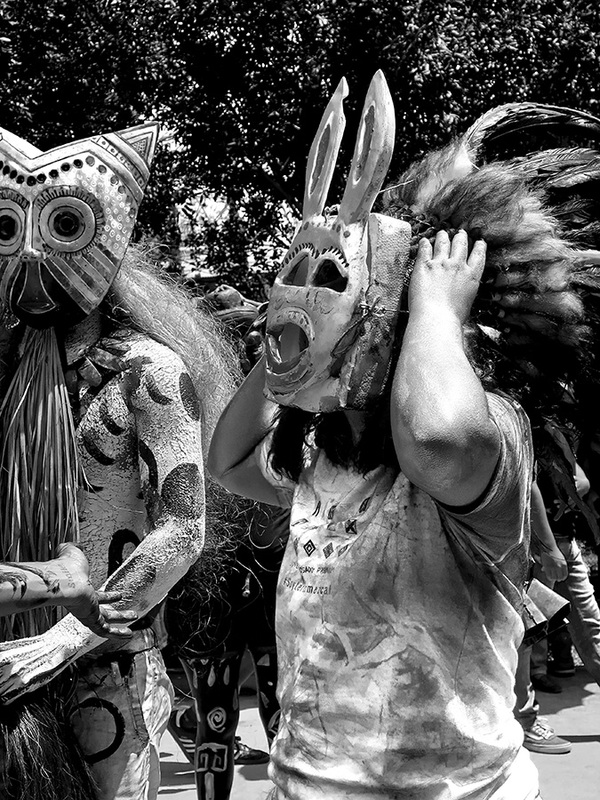 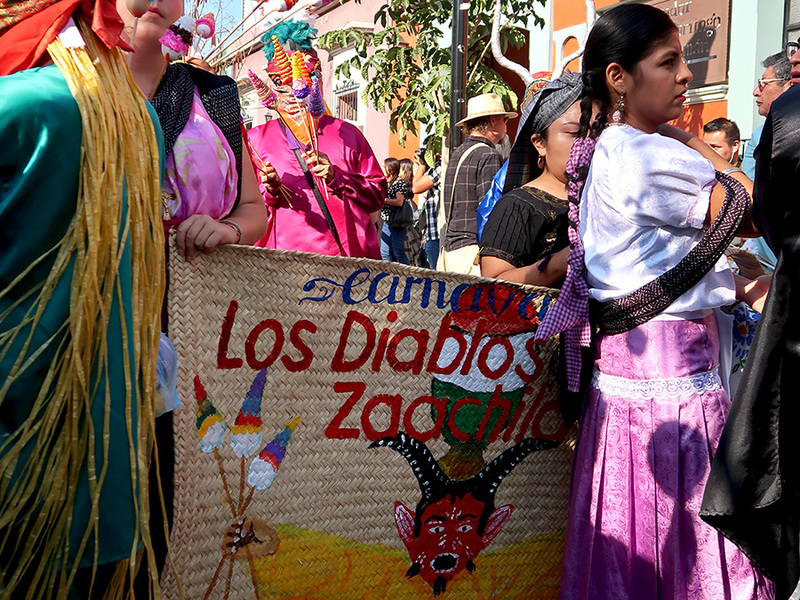 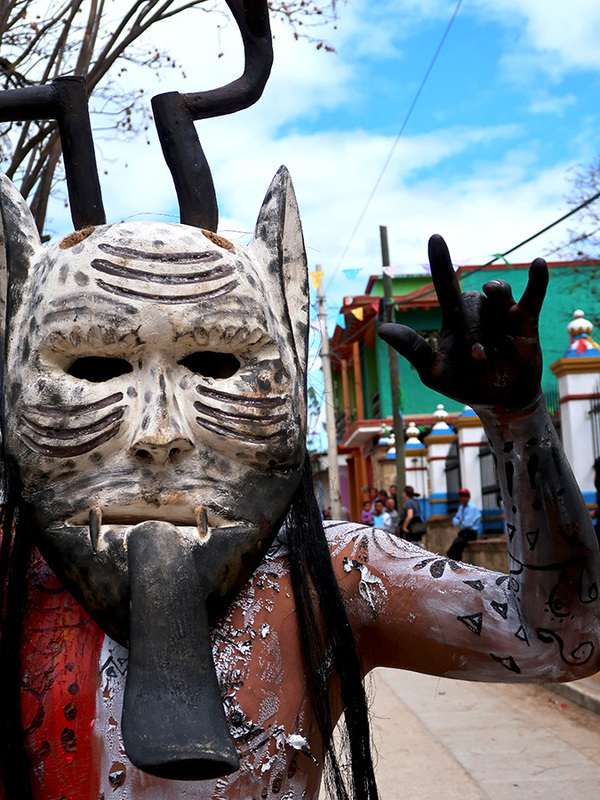 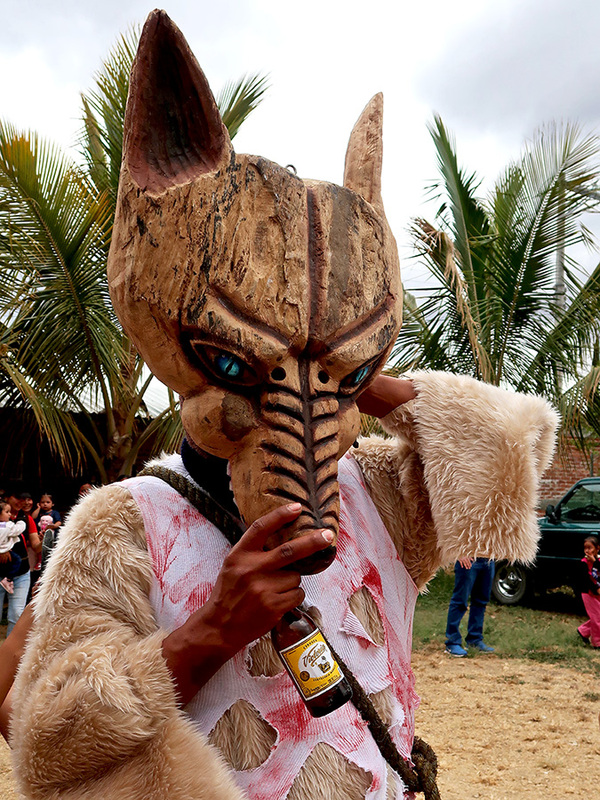 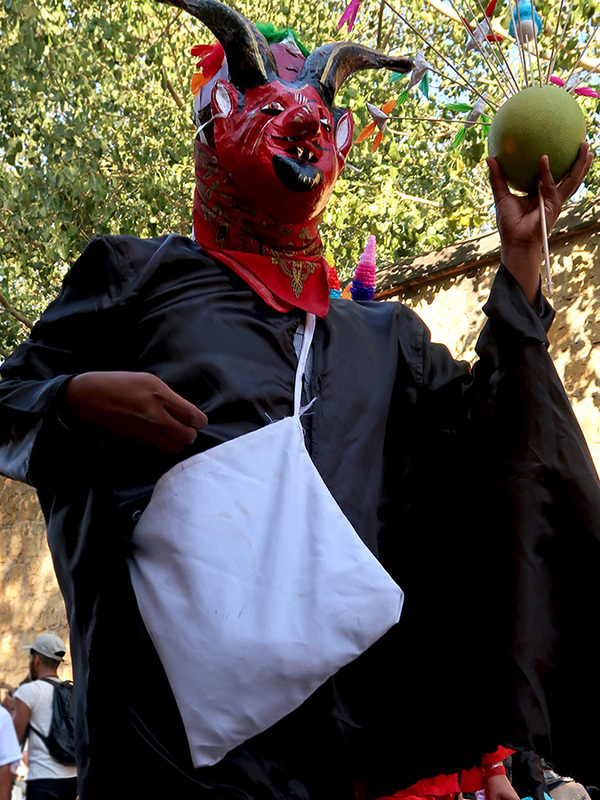 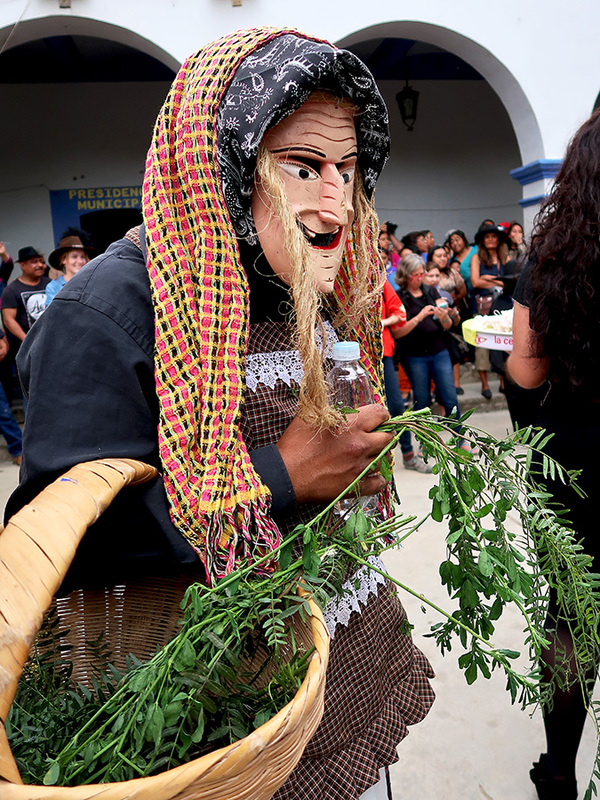 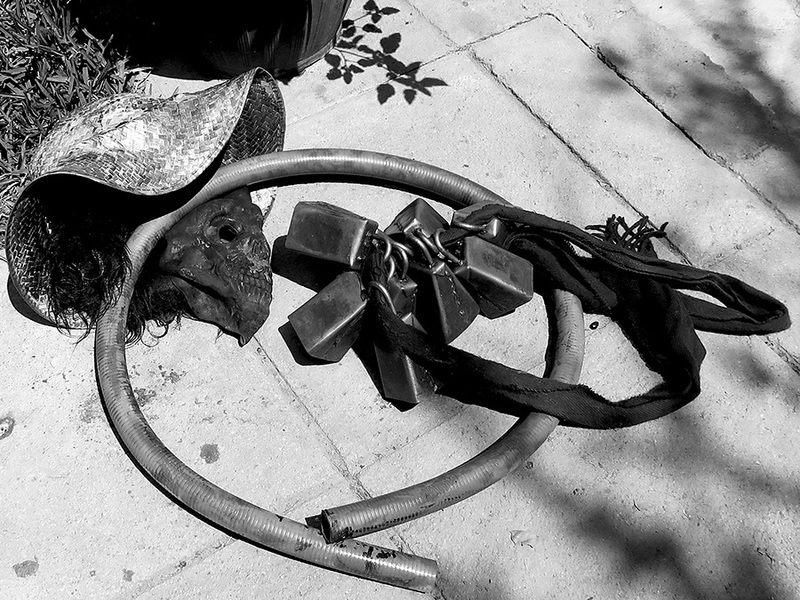 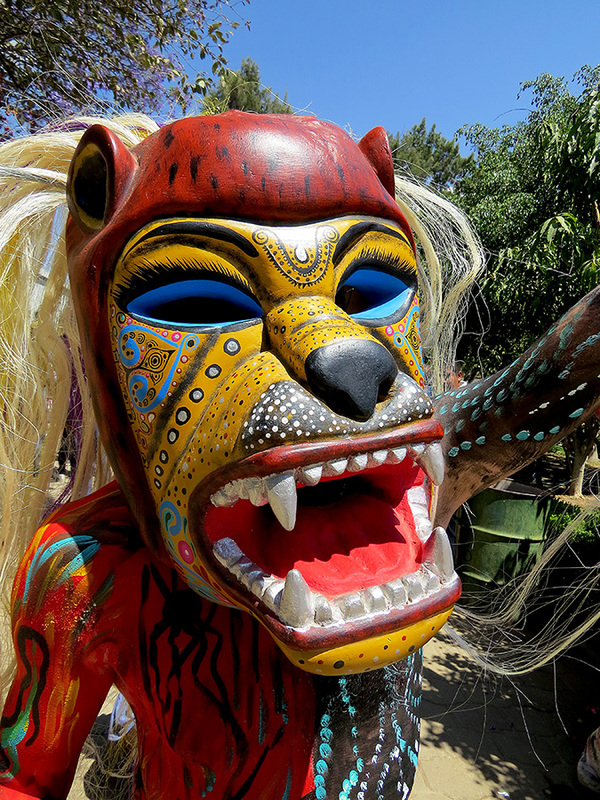 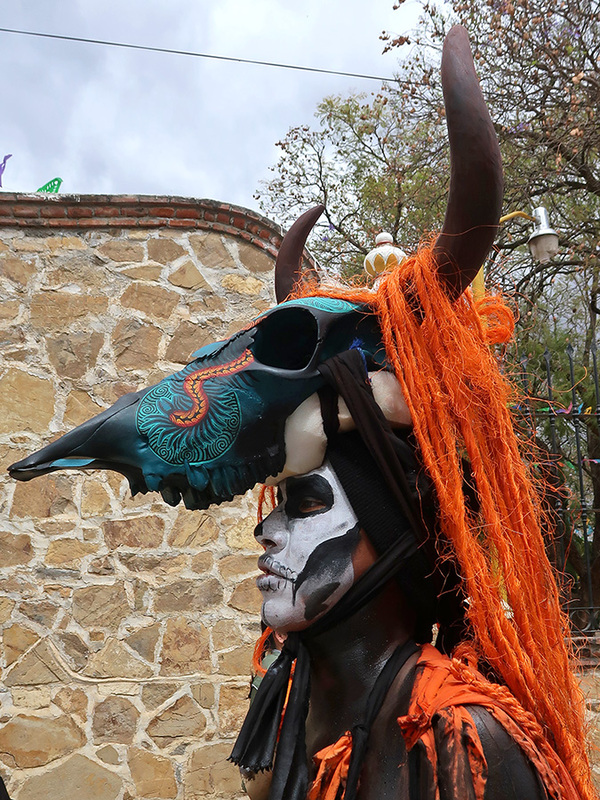 Masks are donned not only for the Danza de los Rubios, but also for the Danza de los Diablos and the Danza del Macho, which are performed at various annual festivals in the region. 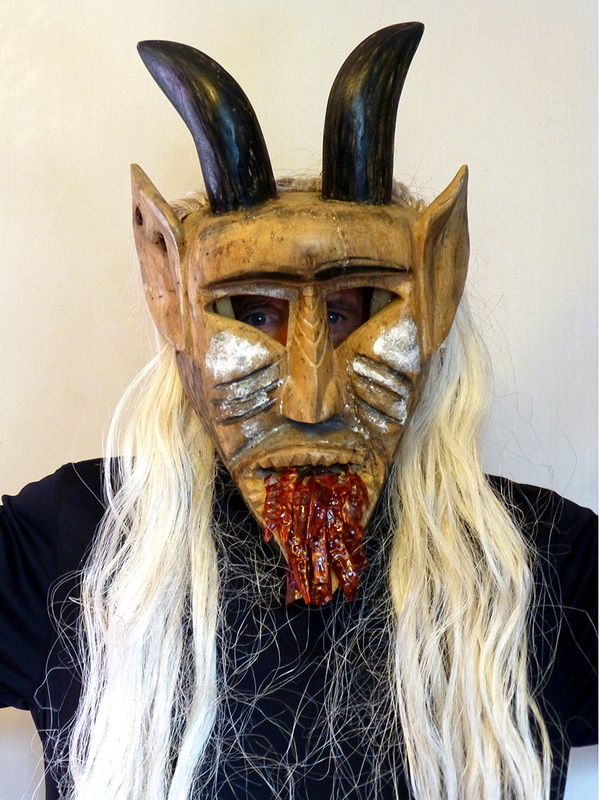 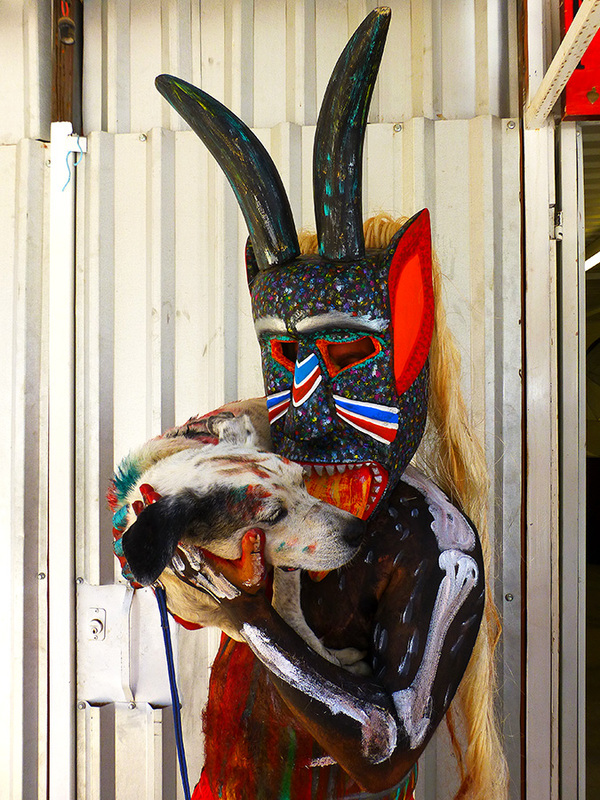 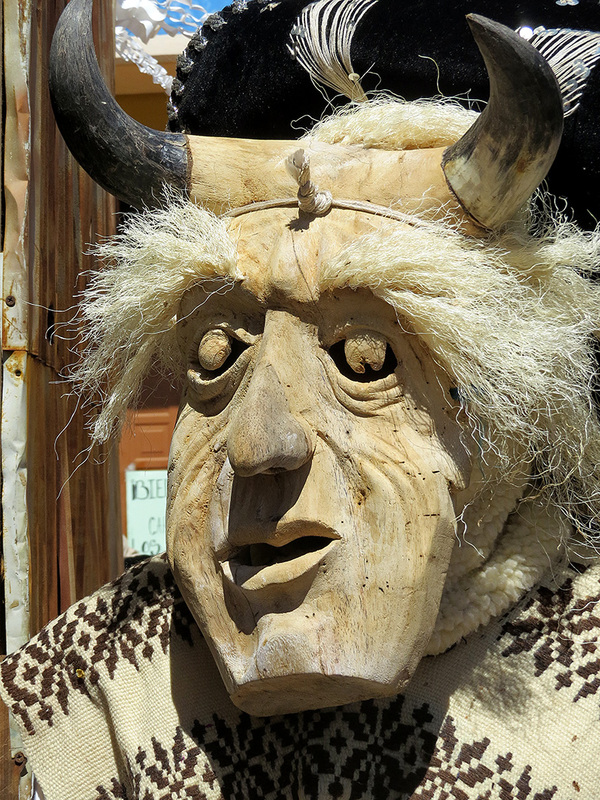 Once carved and painted, the wooden masks can be embellished with glass eyes and real animal teeth and horns of bulls, goats, or deer. 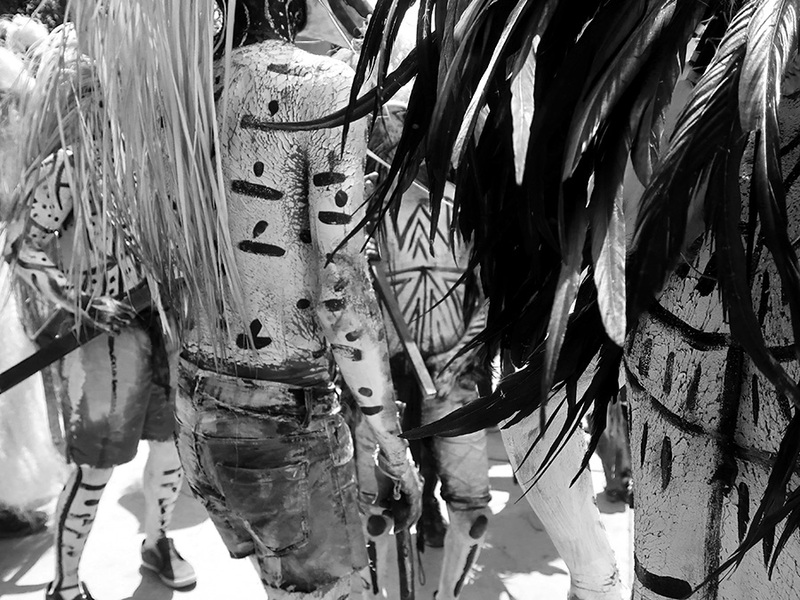 They are an amazing sight to see! 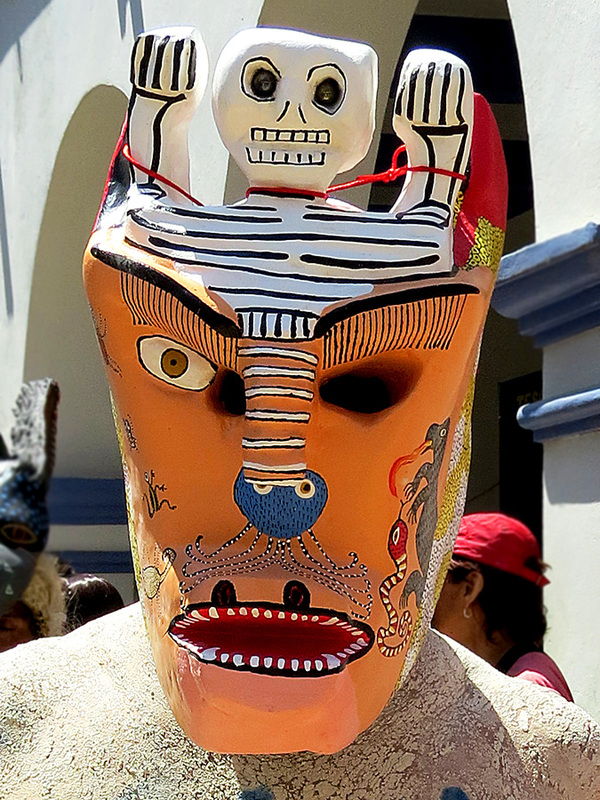 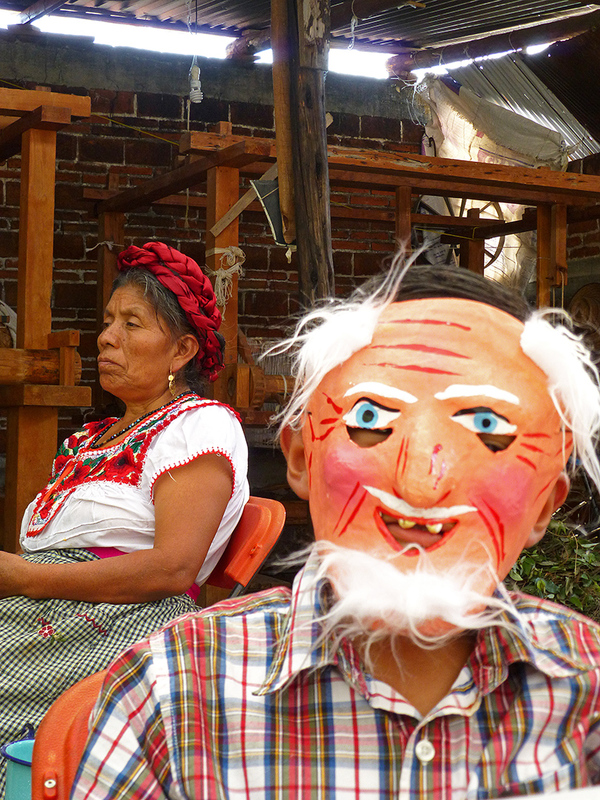 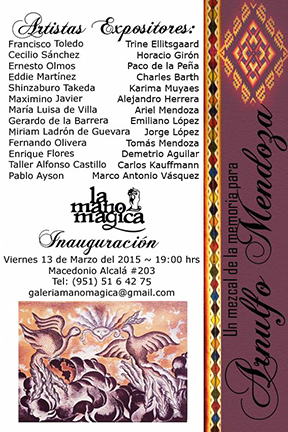 The Máscaras de Juxtlahuaca exhibition at the Museo del Palacio in Oaxaca city closes August 28, 2015. 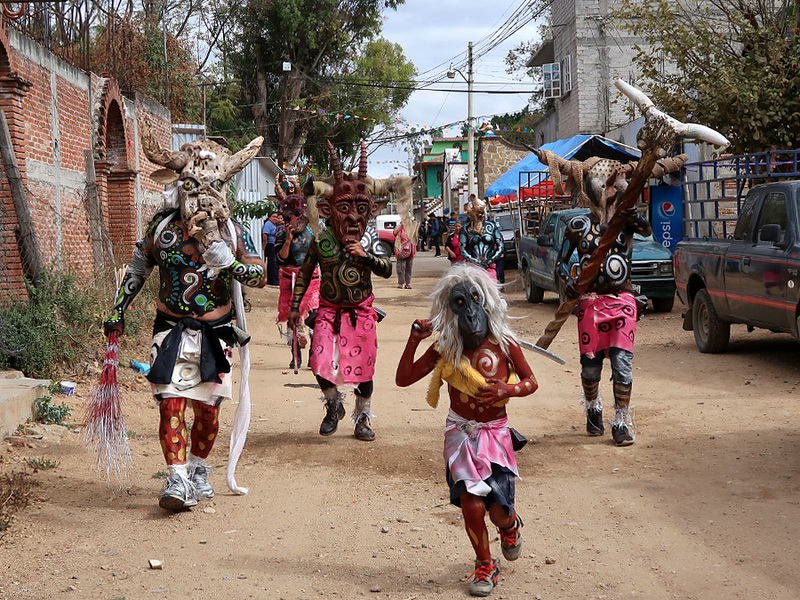 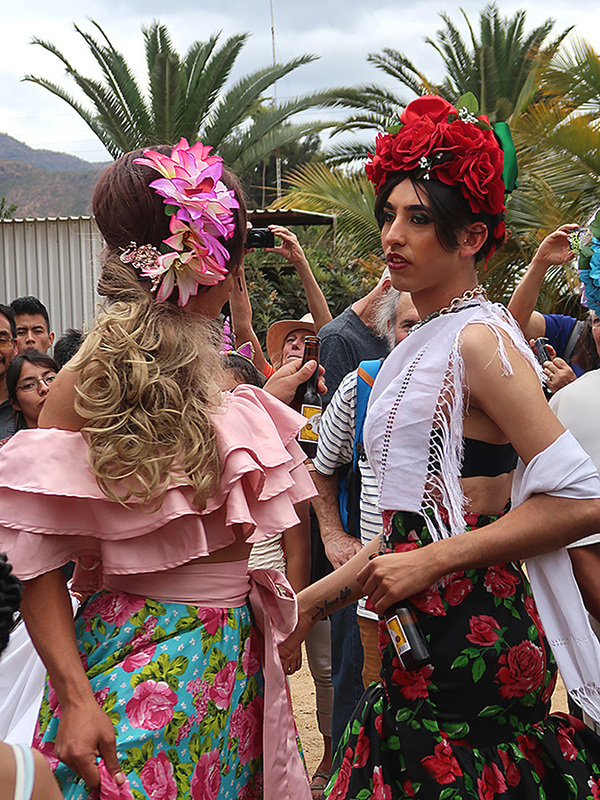 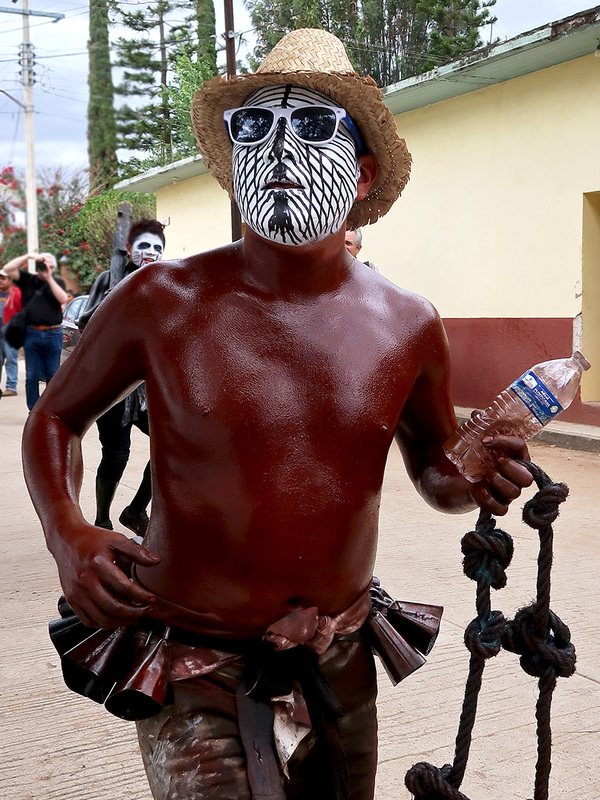 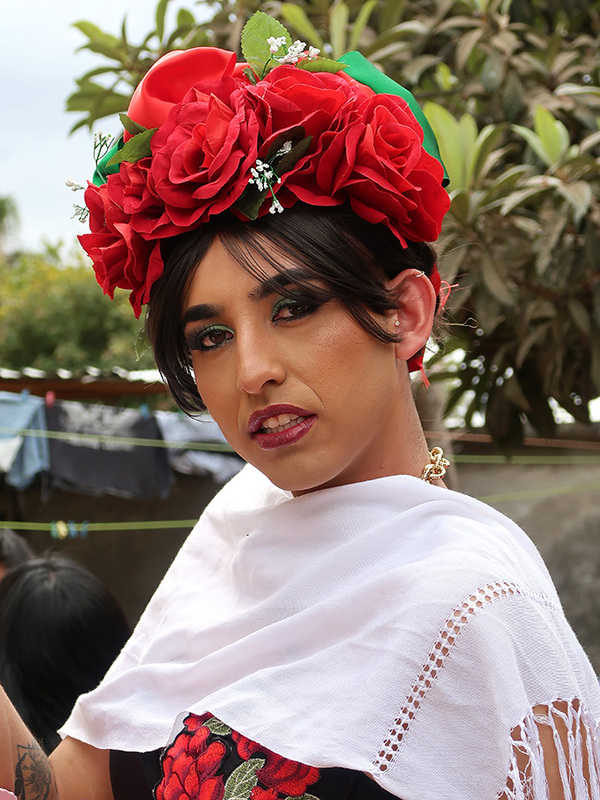 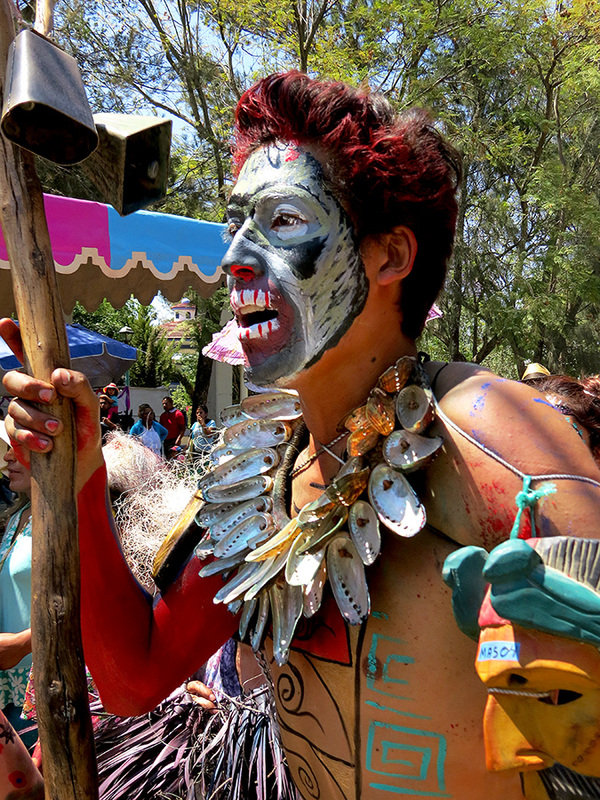 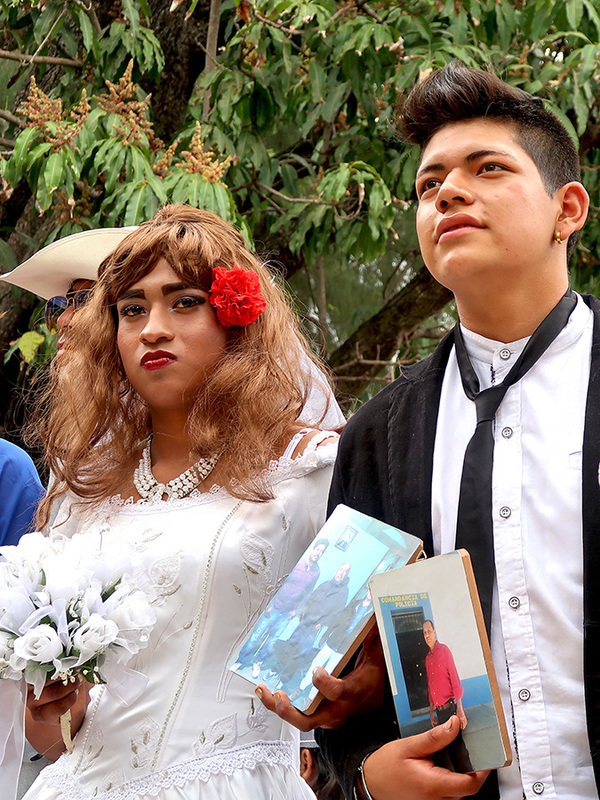 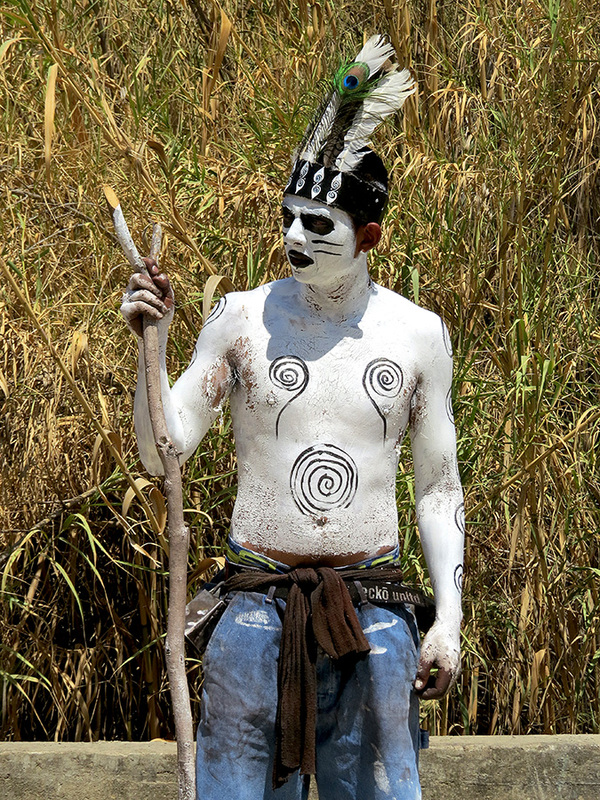 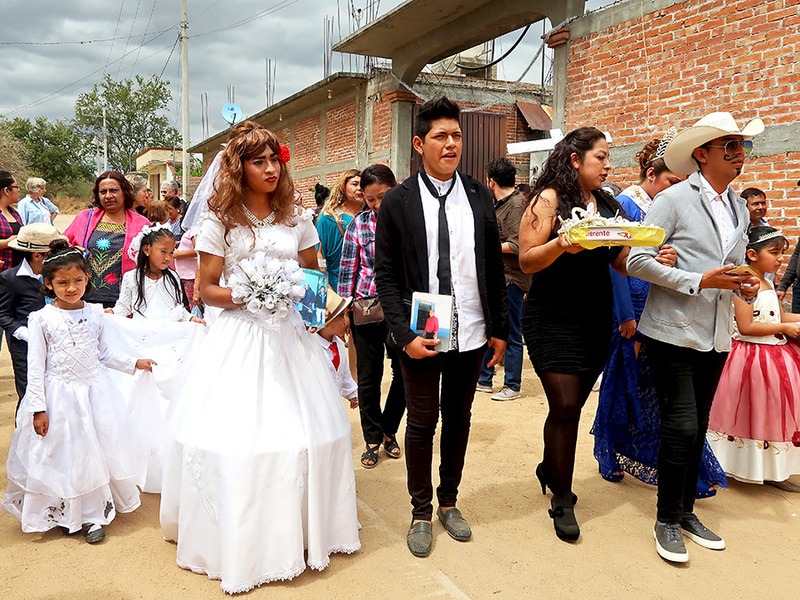 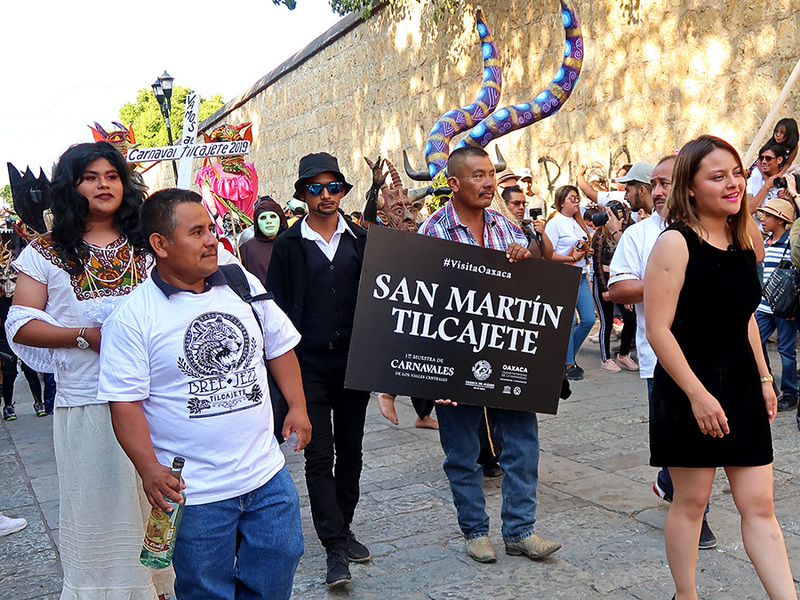 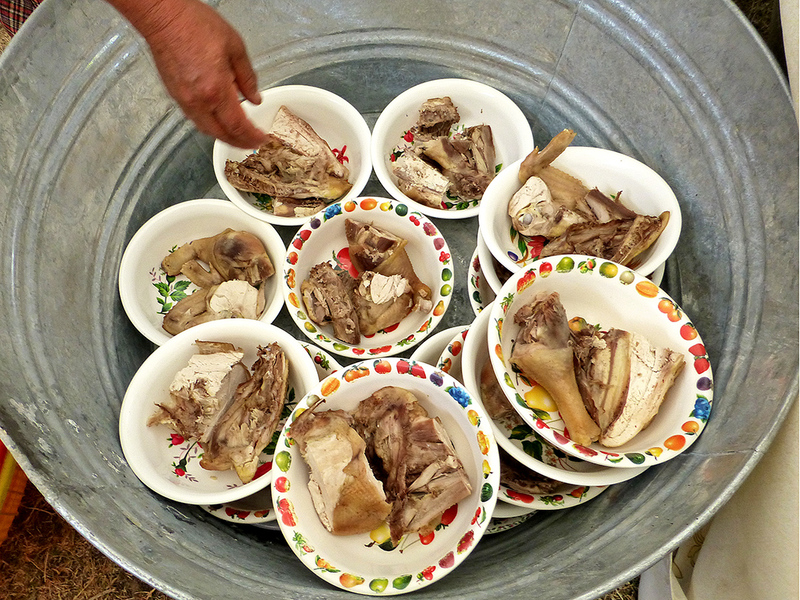 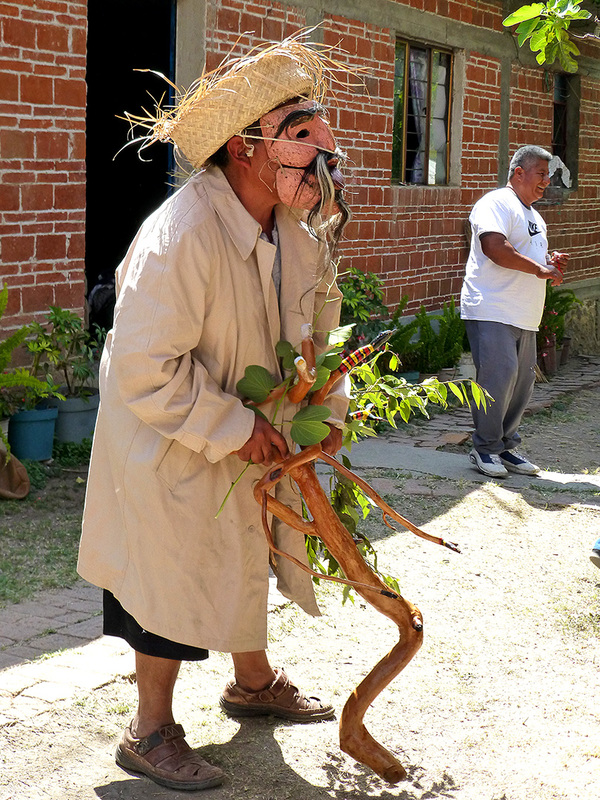 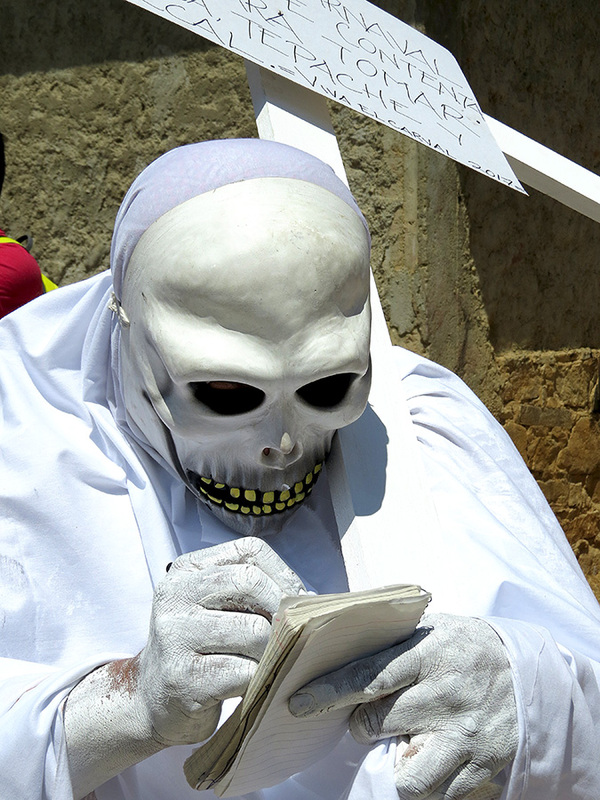 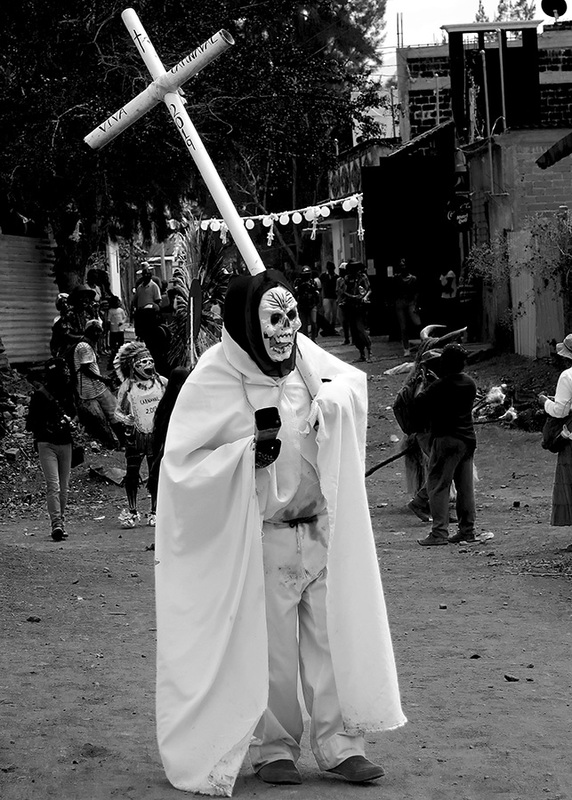 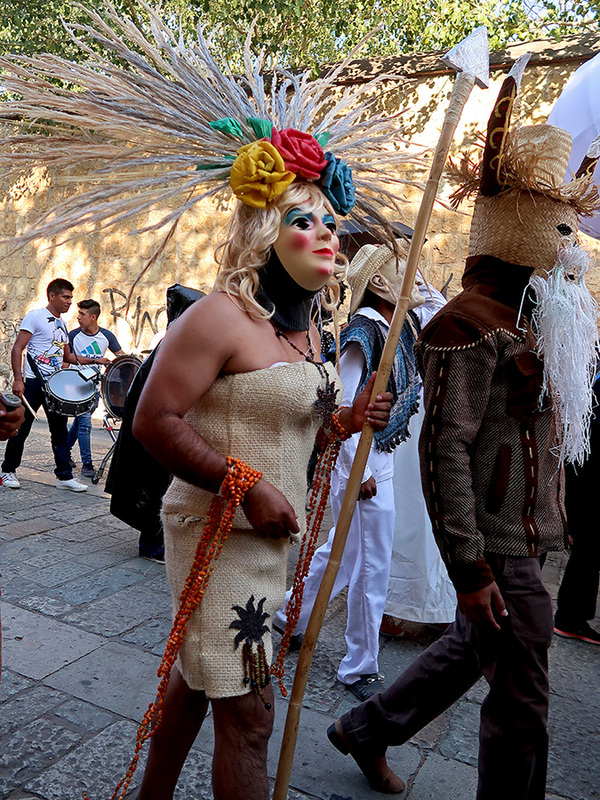 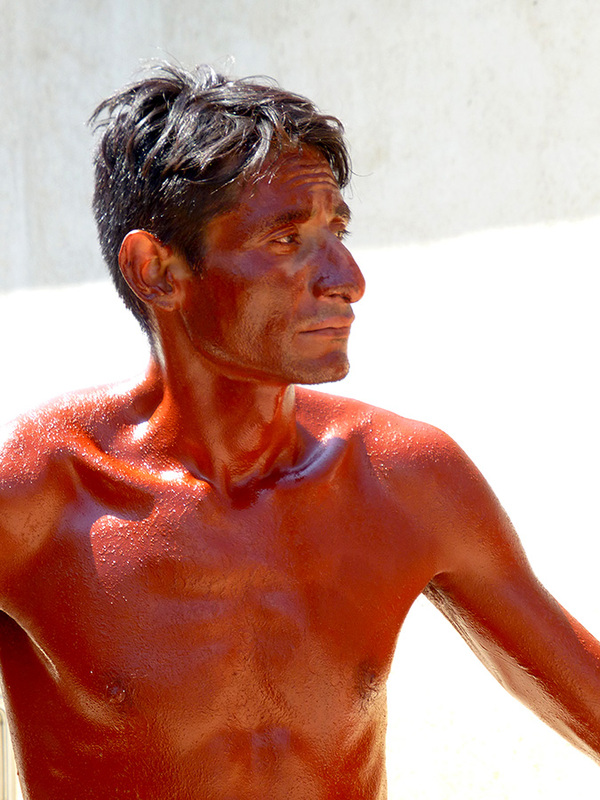 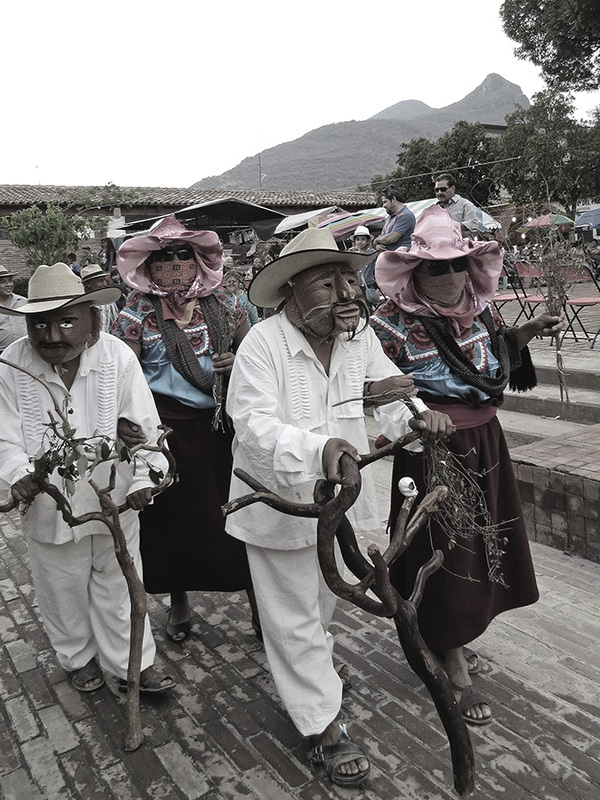 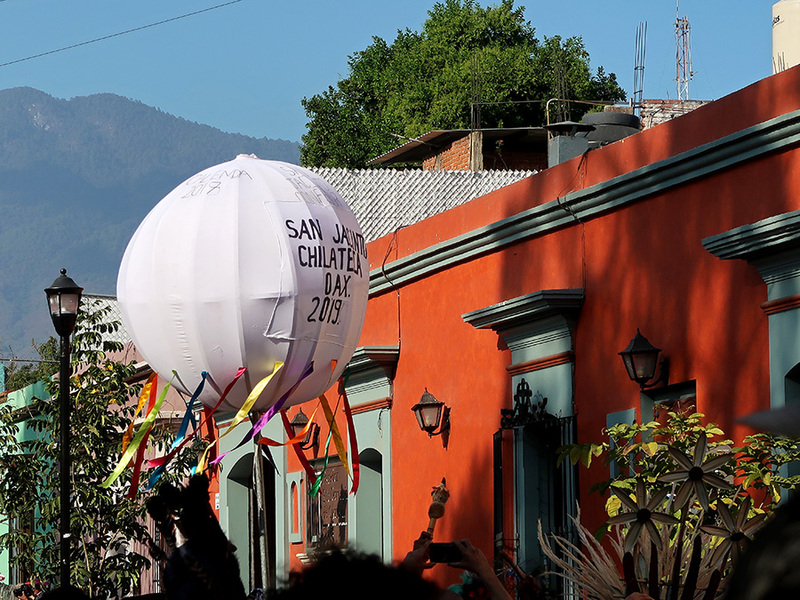 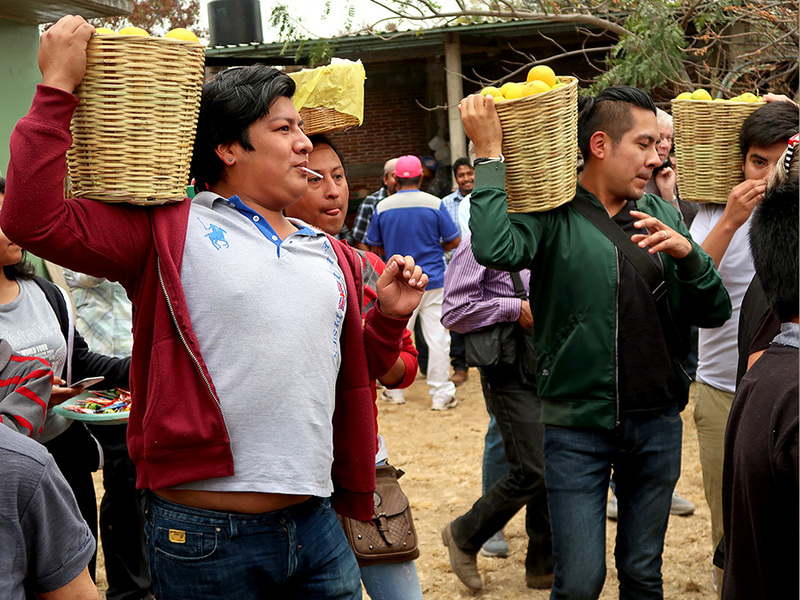 Ojala, blogger buddy Chris (who doesn’t change his watch to DST either) and I will be returning to Teotitlán del Valle for the final day (into night) of the Baile de Los Viejitos, (the Dance of the Old Men) this time hosted by el quinto (5th) sección. 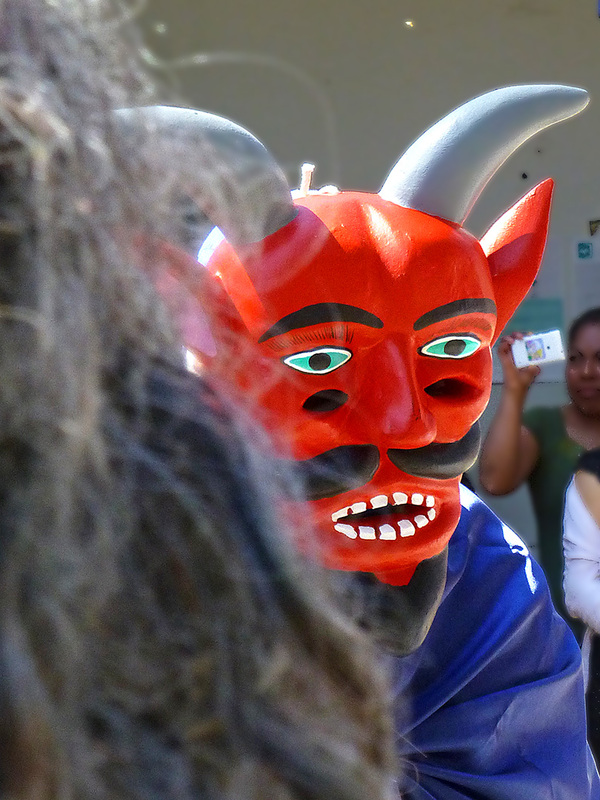 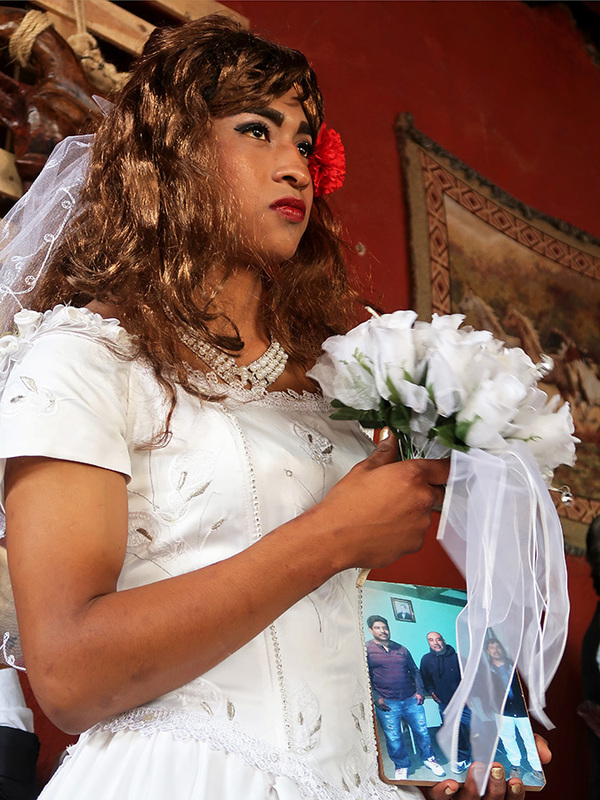 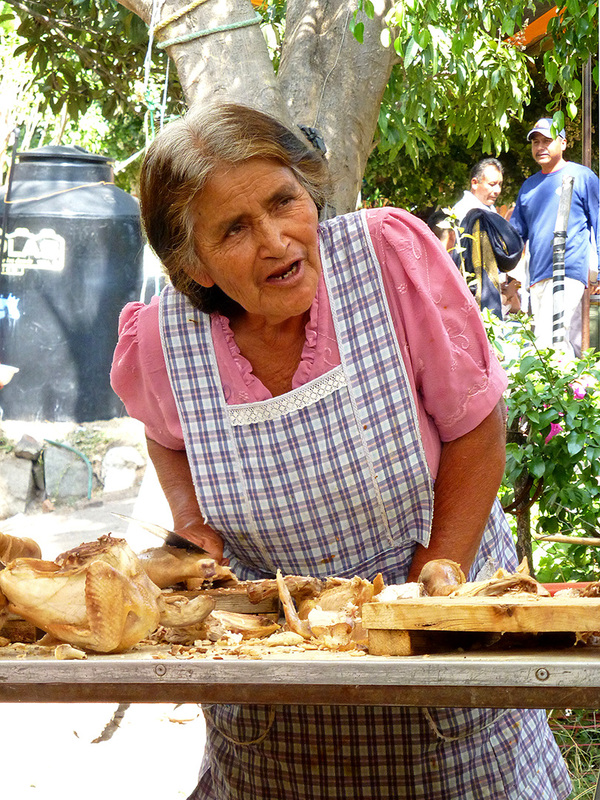 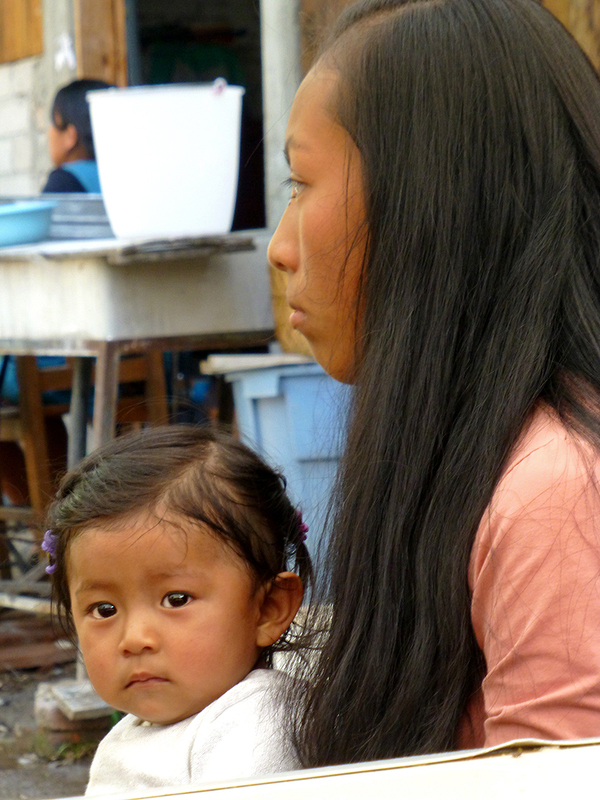 However, before we go, a few more scenes from Tuesday’s fiesta, put on by the segunda (2nd) sección. 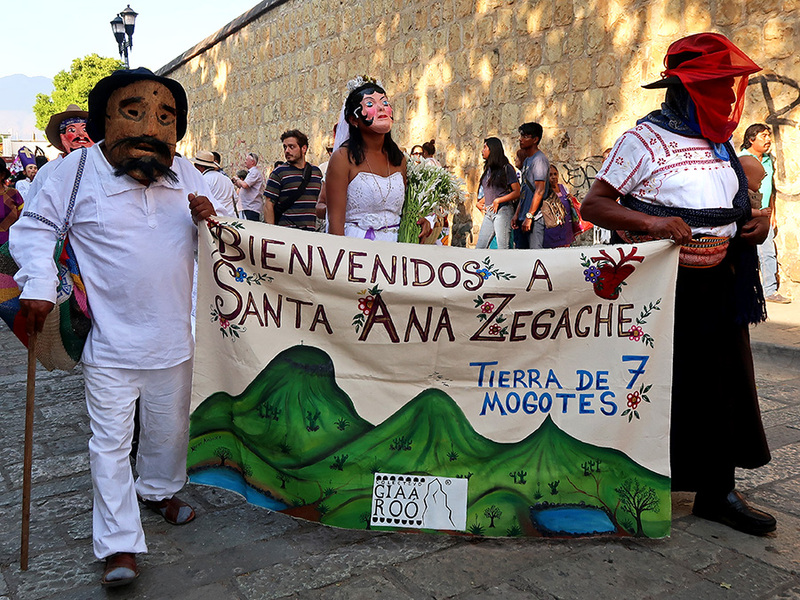 I say, “ojala, ” because several marches and blockades are currently in progress throughout Oaxaca and on the carreteras into and out of the city. 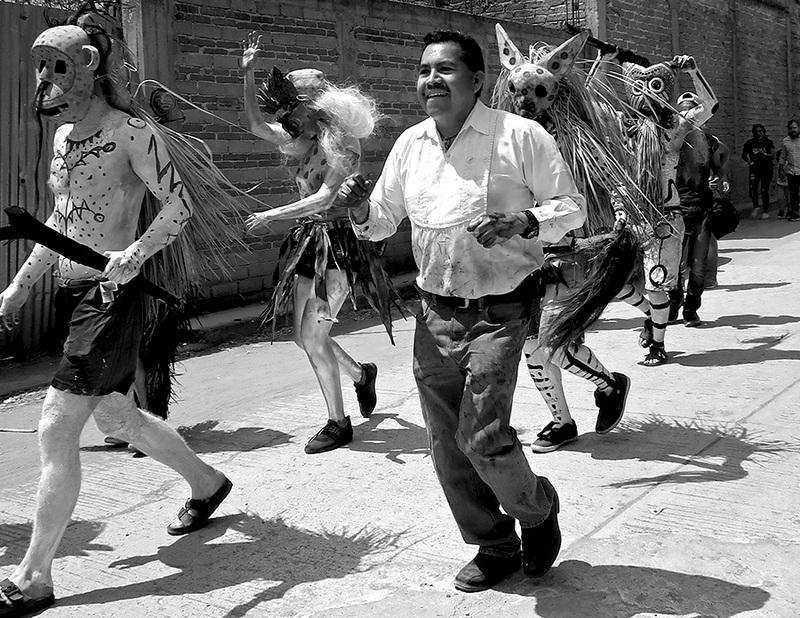 Alas, the video I shot on Tuesday of the Baile de los Viejitos may be as close as I come to the dancing action until next year.